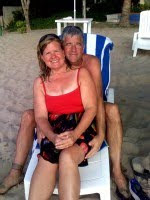 Terry & Heidi Kotas hail from Gig Harbor, WA. From 1992-1994 they cruised from Gig Harbor to Hawaii and across the South Pacific aboard their first cruising boat Cassiopeia, a Golden Gate 30. From 1998-2003 they cruised the West coast of US and Mexico, Marquesas, Tuamotus, Tahiti and Hawaii aboard Cetus, a Fantasia 35. 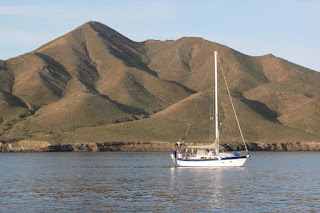 Beginning again in 2009 they have been cruising the San Juan Islands, West Coast of US, Mexican Baja and the Sea of Cortez with plans to sail to the Galapagos and beyond. Their earlier cruises included their daughter Carly and ship's cat Cali. More information can be found on their blog and they can be contacted by email (FollowCetus@gmail.com). Terry is currently finishing the sequel to his first novel, Adventures Aboard Rick’s Place, which is a humorous adventure novel based on their experiences building a boat in their back yard and then sailing it across the South Pacific. 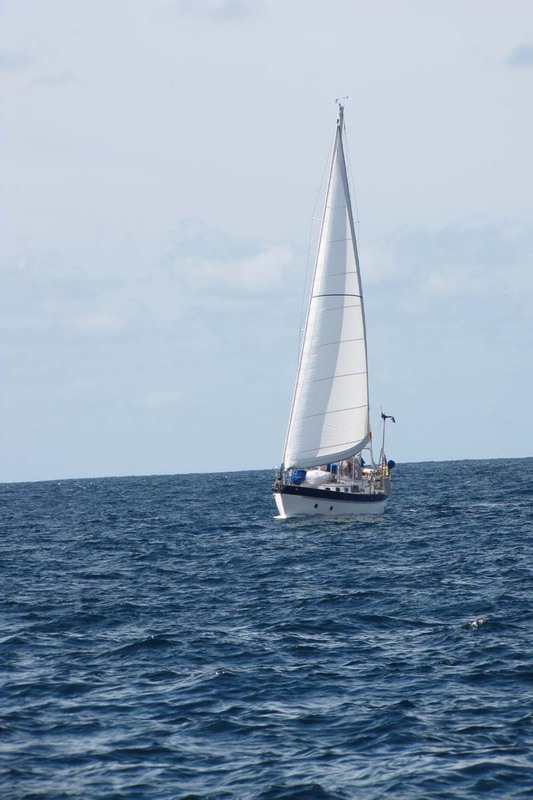 Are you attracted more to sailing itself or cruising-as-travel and has that changed over time? Though we love nothing better than a good long beam reach, we have always been most interested in cruising as a way to travel so we could see the world from the comforts of our own home. From the beginning we chose a heavy, full keeled boat, as we were looking for comfort and safety over performance. Always give plenty of room to others in an anchorage when you come in. Don’t try to squeeze in between other boats. 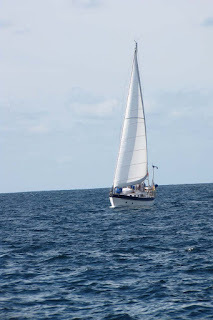 Always think about the possible wind shifts and where that will place you – you don’t want to be sitting over someone’s anchor when they are ready to pull it up to leave. What is your favorite piece of boating related new technology? AIS. Large ship traffic at night was one of the most worrisome aspects especially of coastal cruising. You could see their lights and even pick them up on radar, but still be uncertain of exactly where they were heading – and they never seemed to answer a call on the VHF. Now, you not only can tell how far away they are, where they are headed, if you’re on a collision course, but also the name and MMSI number to easily contact the vessel. Teak Decks. Though they look beautiful, they take a lot of time and effort to keep them in good repair and they get extremely hot in the sun. What is difficult for the parents of cruising children and what is difficult for the children themselves? For us as cruising parents, the most difficult thing was to balance where we might like to go with our daughter’s desires. Her choice would be to follow along with her friends on other “kid boats” and we might have other ideas. For the children themselves I think the hardest thing is saying goodbye to new found friends when it is time to leave an area. We loved the Tuamotus. We visited several atolls and enjoyed them all. The snorkeling was outstanding with a wide variety of colorful corals and sealife, and the motus on the fringing reefs with their swaying palm trees, white sand beaches and turquoise water were everything you’d expect of a South Pacific Isle. How did you secure your valuables (in and on your vessel) while going ashore? And your dinghy? We keep excess cash and passports in a semi hidden small compartment and we will put a lock on the main hatch if we were going to be away from the boat for more than a couple hours. Depending on the area we’re in, or if we’re at a dock, we will disconnect the electronics in the cockpit (GPS and VHF remote) and store them below. If we’re just away for a short time, we simply turn on some music, so if someone approaches the boat they’ll think someone is on board. As for the dinghy, we have a lock on the outboard and a cable with a lock that we can secure it if it’s at a dock – the cable also runs through the oars to keep them attached to the dinghy. We also have the dinghy set up with a harness that we can lift it to the side of the boat for safe keeping at night, but must admit we rarely use that. Across a year, what do you spend the most money on while cruising? Food and drink. You can cut back on everything else: staying at marinas, fuel, upkeep, entertainment, etc, but you always have to eat. What is the key to making the cruising life enjoyable? We’ve been running into so many couples lately that having just set out on their “dream of a lifetime” cruise are finding themselves disgruntled and disappointed because it’s not what they thought it would be, so they are not enjoying it. People often set out thinking it’s going to be a vacation – it’s not. It’s simply a different way of life and there is work involved. But for every hardship or inconvenience there are innumerable rewards such as watching dolphin play in your bow wake, swimming in crystal clear water, watching glorious sunrises and sunsets and much much more. So we think the real key to happy cruising is your attitude – just enjoy what you have and where you are instead of thinking that the grass is greener somewhere else. Be happy with your boat. Every boat is a compromise, and instead of wishing you had something else, make the best of what you have.